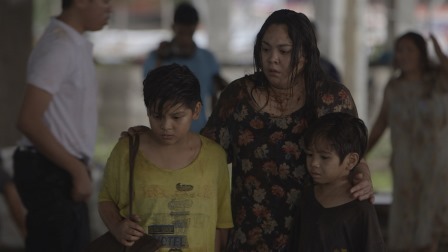 Claudine Barretto Returns on TV Playing Yolanda Victim in "MMk"
After her controversial and talked appearance in “MMK” last year, multi-awarded actress and Philippine television’s Optimum Star Claudine Barretto is back for another must-see performance as she portrays a Yolanda victim separated by the tragedy from her husband and kids. In this special episode, Lorena (Claudine Barretto) and her husband Norberto (Dominic Ochoa) have always strived to build a prosperous family for their children. Through hard work, they were able to put up a successful chicharon, balut, and peanut business. Life seems to be going so well for their family until super typhoon Yolanda hit them. The devastating tragedy separated Lorena, Norberto, and their children from each other. How will Lorena and Norberto find each other and make their family whole again? How will they survive life’s daily struggles as they continue to search for each other in the busy streets of the metro? 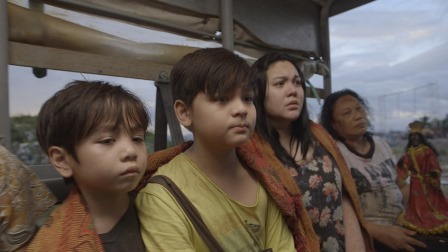 Joining this “MMK” episode are Maris Racal, Neil Coleta, Claire Ruiz, Louise Abuel, Justin Cuyugan, Mark Santiago, and Yñigo Delen and Dexie Daulat. The episode is directed by Raz de la Torre and written by Akeem Jordan del Rosario. “MMK” is led by Star Creatives COO Malou Santos.